Although his exact dates are unknown, Zedekiah ben Abraham Anav of Rome is believed to have lived there between 1225 and approximately 1297. He studied in Germany with famous halakhic scholars such as Jacob of Wuerzburg (13th century) and Meir ben Baruch of Rothenburg (d. 1293). Zedekiah’s main work is Shibbolei ha-Leket (Ears of Gleaning), one of the first attempts in Italy to codify Jewish law. It en- compasses a systematic overview and discussion of the rules concerning the liturgy and laws of Shabbat, holidays, and fasts, interspersed with other halakhic material. 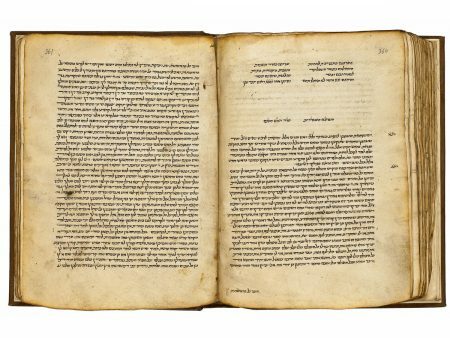 It has a strong Ashkenazic tone and makes no mention of the works of the great Sephardic codifier Moses Maimonides (1138–1204). Shibbolei ha-Leket has twelve sections, subdivided into a total of 372 numbered paragraphs. Zedekiah ben Abraham was a member of the well- known Italian Anav, or Anau, family, most of whose members lived in Rome during the Middle Ages. The Hebrew designation used by the family was min haanavim, “of the Anavs.” Family tradition had it that they descended from one of four aristocratic families of Jerusalem who were brought to Rome by Titus after the destruction of the Temple in Jerusalem in the year 70. Famous members of the family included the lexicographer Nathan ben Jehiel (ca. 1035–1106), au- thor of the dictionary Arukh, and Jehiel ben Jekuthiel Anav (second half of the 13th century), an important author on ethics and the scribe of the famous Leiden manuscript of the Palestinian Talmud (Leiden, University Library, Or. 4720). Other family members were important halakhists and poets. Sotheby’s New York 1984, lot 93; Sotheby’s New York 2004, lot 13.